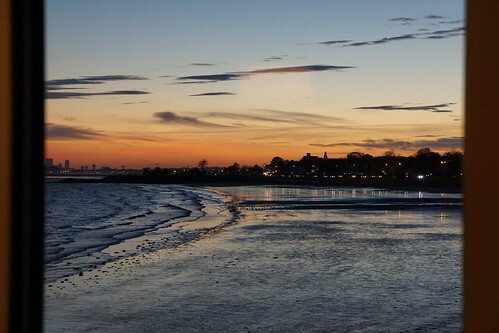 Not too long ago I made the trek up to Swampscott in the North Shore with my mom so we can have dinner and drinks with a bay view at sunset. We arrived at Mission on the Bay right at sunset, and managed to take some great photos and videos from our table by the window. 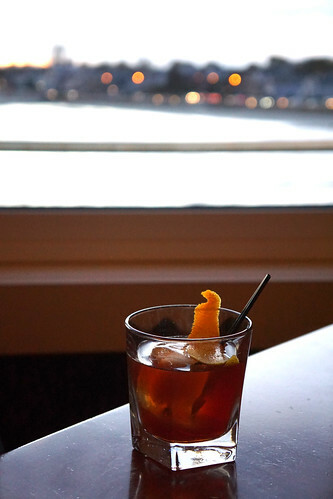 I don't explore North Shore much, and I was pleasantly surprised by the cocktail I had here. The cocktail menu is seasonal, and I had the Go Figure with black mission fig infused bourbon, Cardamaro, and allspice dram. I ordered this because I'm a big fan of figs. The drink was well balanced and complex. Mission on the Bay also has a great happy hour menu for food (because Massachusetts doesn't allow happy hour alcohol pricing). From 3-7pm on Sunday to Thursday, the bar food menu is half off! 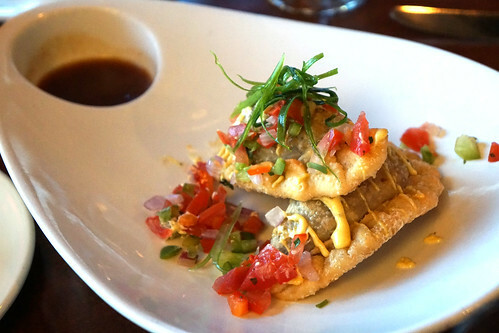 You can get more bang for your buck with appetizers like this short rib empanada served with aji amarillo and salsa criolla. The app is normally $12, so during happy hour it's $6. When drinking in Bali, you'd want to drink by the beach, with an ocean view. You can do exactly that with good cocktails on a beach lounger at KuDeTa. KuDeTa is situated in the Hotel Oberoi. To the left is the dining room, the more casual bar is to the right, while the middle section opens up to a set of loungers facing the beach (you can go down to the beach via a set of stairs guarded by a security guard). 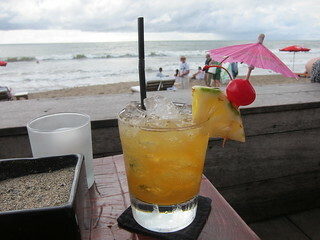 The cocktails are much better than the bar in Kuta but they also cost a lot more at Rp.110,000 (~$12). Still, I was happy to see some tiki classics like Blood and Sand and Mai Tai on the menu - happier still to find out they were done well. 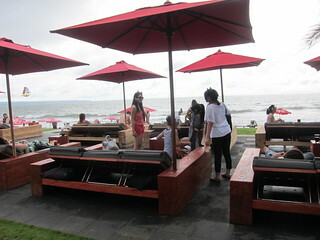 To relax on a sunny day, and especially if you can snag some seats during sunset, KuDeTa is currently my bar of choice.